This Northern Vietnam Tour packages from Singapore pre-designed for your wonderful exploration of the best destinations in northern Vietnam. From Sapa - the most magnificent mountainous landscape in the northwest of Vietnam, to Ha Long Bay - the natural wonder of the world. or famous destinations like Hanoi - the capital of thousand years of culture, visit the top attractions. At the attitude of 1650m, on the side of Hoang Lien Son range – facing the summit in Indochina. Sapa is the common hone of several minority tribes such as black H’mong, red Dzao. It is where you find the beauty of nature in valleys, mountains, streams, waterfalls and the warmly welcome of the ethnic people. Come to Sapa to enjoy the scenery and explore daily activities of the tribal people. Planning Vietnam vacation package without Halong bay tours means you haven't been to Vietnam. Halong Bay with 3000 unshaped limestone islands coming up from green water, twice recognized as UNESCO World Natural Heritage Site and listed among the 7 New Natural Wonders of the World, offers different activities from sightseeings to adventure tours. Halong Bay cruises in Vietnam luxury travel style highlight all Vietnam holiday packages. Similar to Sapa, the most famous attraction in Ha Giang are grandiose mountains. Despite mountains in Ha Giang are not as high as those in Sapa and seem not too steep (maybe, it does not challenge those adventurous climbers), they still stand out for their extensive limestone area with unique shapes of peaky rocks. 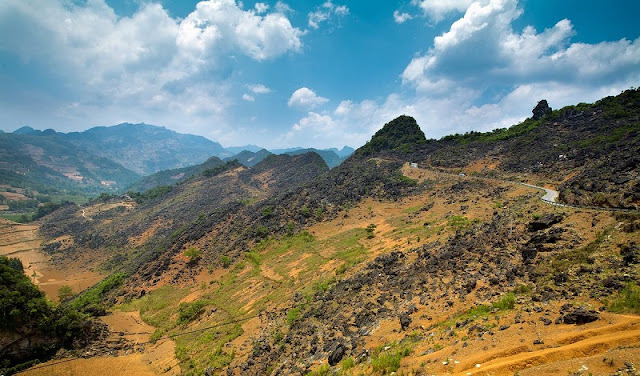 In Ha Giang, the most renowned rocky area is Dong Van (Đồng Văn) Rock Plateau, recognized by UNESCO as one of 77 geological parks all over the world. Another indispensible destination to visit is Lung Cu (Lũng Cú) Hamlet which lies inside. Dong Van Rock Plateau because it makes the northern tip of Vietnam with Lung Cu Flag Tower on the Dragon Mountain. In addition, Ha Giang is a venue of many fanciful natural caves like Phuong Thien (Phương Thiện) Cave, Tien (Tiên) Cave, Chui Cave, and Swallow Cave. Despite these caves offer great scenery with amazing stalactite shapes, each one has its specific traits and story. For instance, according to a legend, fairies used to have a bath in the Fairy stream inside the Tien Cave, which is the origin of this cave. Also, Ha Giang is famous for magnificent forests in which over 1,000 species of drug trees, good woods and rare animals such as peacock, tigers and pangolin are available. Ba Be Lake, located in BaBe District, Bac Kan Province, is an extremely fantastic tourist spot to tourists. Ba Be Lake inspires tourists with not only its primitive nature, the serene atmosphere and magnificent landscape but also with plentiful protected biodiversity. With its hidden beauty. Ba Be lake can be described a place of peace and serenity. The beautiful lake in the northern province of Bac kan is listed as one of the world’s 20 largest freshwater lakes. Ba Be Lake has been popularly elected in Vietnam tour itineraries. 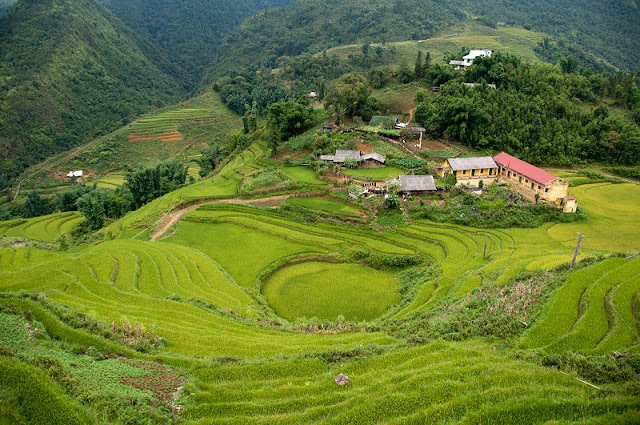 Come to Mu Cang Chai, You will not only enjoy the majestic and beautiful terraces but also learn the unique and rustic life of H’mong ethnic group. A hard but warm-hearted life – a rare thing in the modern world. 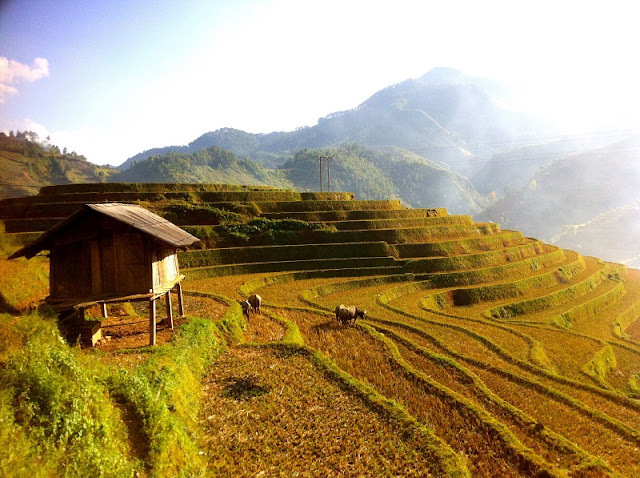 Mu Cang Chai’s highlights include: majestic rice terraces, sticky rice in Tu Le (xôi Tú Lệ), Tu Le hot stream and unique life of ethnic H’Mong. Mai Chau, belonging to Hoa Binh Province, is a tourism attraction that owns a charming beauty with the fresh air of the fores, the deep culture and the unique cuisine. This actile will show you some tips for travelling in Mai Chau. The weather of Mai Chau is cool around the year. In the summer it is not too hot and in the winter it is not too cold. Therefore, you can travel to Mai Chau anytime of the year. If you would like to see white flowers in Mai Chau valley, October and December are the idea time for you to visit and enjoy the fresh air and the beautiful scenery of Mai Chau valley. The period from March to pril is when Mai Chau wears the cost of many beautiful flowers and the time for traditional festival as well. Located on the Southern end of the Red River Delta, far away 100km from Hanoi, Ninh Binh is blessed with diverse topography of both mountainous and coastal areas. It can be said that the province contains all the scenic quintessence of whole Vietnam within its relatively small size. Not only that, Ninh Binh represents typical rural villages of Northern region with vast green paddy field, expanding mountains and poetic river that flows to the horizon. 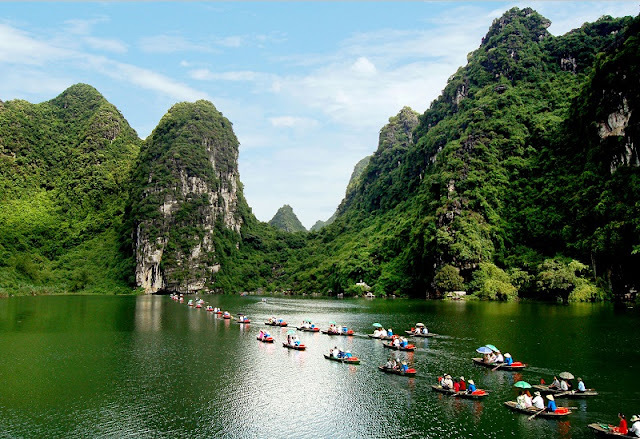 Ninh Binh's history is also worth mentioning: the ancient capital of Vietnam in the 10th century, Ninh Binh is a venue of relics that reflect its 1000 years of history and development. These are the most attractive destinations in the North of Vietnam. You can explore them on the itineraries available at: sapatoursfromhanoi.com/northwest-northeast-vietnam-tours/ or if you have the idea of exploring the North of Vietnam in your own way please we know. Regardless of the way we experience, we, the beautiful country of Vietnam always warmly welcome you.